Professor Wu is an Associate Professor of Computer Science at Pomona College. She completed her Ph.D. in Computer Science from University of Michigan, Ann Arbor. She earned her M.S. degree from Indiana University, Bloomington and an M.S./B.S. degree from Peking University, China. She joined Indiana University in 2004 and taught there until 2015. Prof. Wu’s research focuses on data representation, query languages, query processing and optimization, indexing and security of data repositories for relational, semi-structured and graph data. 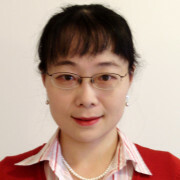 Prof. Wu’s recent research involves algebra for queries, normalization, indexing and security of XML data repositories, storage and query of data on the Semantic Web, exact and approximate search on graph data, data management in parallel computing environments, and analysis of social media data for social-economical insights. Prof. Wu has published in top venues including SIGMOD, VLDB, ICDE, ICDT, EDBT, CIKM, VLDBj, TKDE, IS, etc. She serviced on program committees of leading database conferences, including SIGMOD, VLDB, ICDE, ICDT, EDBT, CIKM, etc., and as reviewers for various journals. Prof. Wu is a member of ACM-W executive council and the chair of ACM-W communication committee. She is also a member of CRA-W board of directors and co-chairs the CREU (Collaborative Research Experiences for Undergraduates) program.